Andy W Langton has won the amateur category of the Age International photo competition, with this incredible shot of two divers in South Korea. 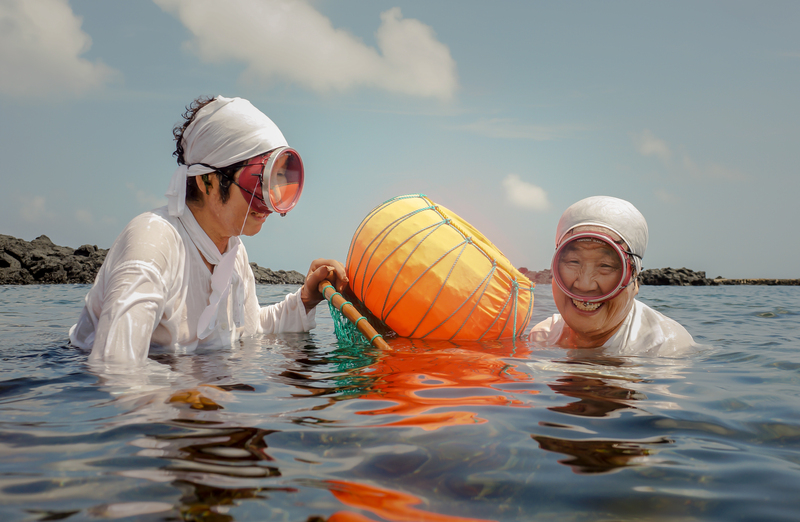 In South Korea, 45% of the Haenyeo – or Diving Women of Jeju – are over the age of 70. Ja Kang Song and Ja Hyun Su are the main breadwinners for their families. Only 0.1% of divers are under 30 – this generation is not prepared to put up with the harsh, dangerous and physically demanding way of life that the older women follow. Robin Bath has won the professional category of the photo competition, with picture showing a moment of peace and tranquillity between owner and pet. Robin travelled to an area of Myanmar called Lake Inle in order to get the picture, where the indigenous Intha peoples have built their homes on stilts. The fishing village by Robert Jones. Taking refuge by Peter Caton. A grandmother and her sleeping granddaughter take refuge at a basketball arena which has been turned into an evacuation centre after Typhoon Bopha destroyed the town of New Bataan in Mindanao, The Philippines. Silk by Amy Sinead Moran. 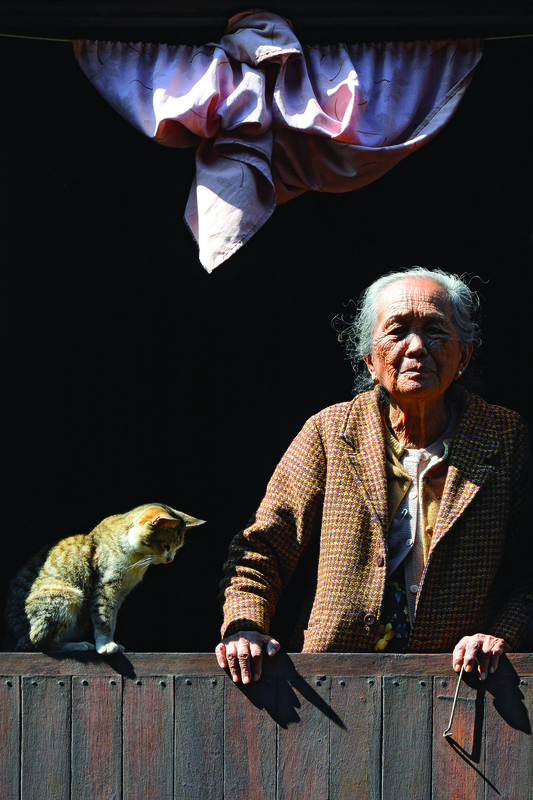 This grandmother lives and works from her stilted home on Koh Dach (Silk Island). Gogos by Chris Kirby. ‘Gogos’ is the Zulu name for grandmothers or ‘grannies’ in South Africa. In the townships of South Africa, gogos are much respected and play a vital role in family life. Pa-Daung by Win Htut Aung. The women of the ethnic minority group, the Pa-Daung, in Myanmar wear distinctive brass rings on their neck. The drummer by Kenneth Gray. Kenneth Gray captured this image of an older man drumming at a cultural show in Kandy, Sri Lanka. The vegetable seller by Michael Carroll. This 60 year old has lived in the same Cambodian village all her life and has worked in the same fields since she was a child. Memories of Rajasthan by Pam Turner. The sweet smile of success by Jennifer Nisbet. The Age International photo competition aimed to draw attention to global ageing – by showcasing the reality of later life across the globe. Winning images were chosen by an expert panel of judges, including the Head of Photography at The Guardian, Roger Tooth; award-winning Guardian photographer David Levene; and News Editor at Charity partner Silver Travel Advisor, Roger Bray.